Why is crime persistent over generations, within families and within certain individuals? Is crime the manifestation of an inherited latent trait or the result of a failure of socialization and norm-setting processes? Why do youths commit crimes? 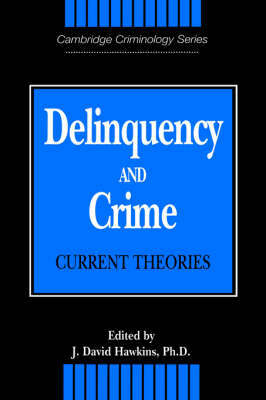 Delinquency and Crime contains essays by nine leading criminologists that seek to answer these and other questions by describing current theories of crime and the research evidence that supports them. The authors' views on crime causation go beyond traditional criminological theories of strain, cultural deviance, social control, differential association and social learning to present emerging and integrated models of the origins of crime, including antisocial peer socialization, social development, interactional theory, behavior genetics, and community determinants. Each essay explores the practical implication of the authors' theoretical work for crime prevention and control.